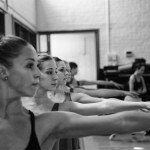 With an impressively large cast of over 80 dancers hailing from Cuba, China, Brazil, the United States and South Africa, Joburg Ballet is readying itself for what it claims is the “largest and grandest” production of Swan Lake South Africa has yet seen, taking place at Joburg Theatre from 17 April to 3 May 2015. It’s a big claim that’s bound to raise the eyebrows of the competition (St Petersburg Ballet Theatre are performing Swan Lake in Johannesburg and Cape Town in May). But with Joburg Ballet’s knack for always finding innovative ways to surprise and delight, we’re rather keen to see what they’ve got hidden in those wings. For a start, the ballet company has announced a very peculiar, but creatively enticing decision regarding their casting for the opening night. 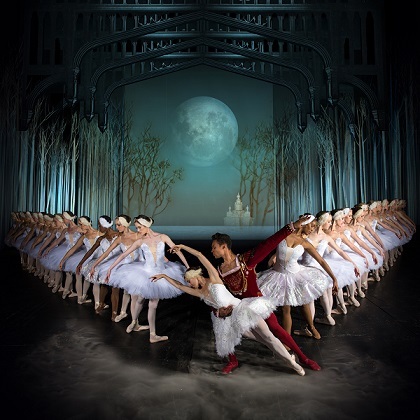 Each act will see a different leading couple perform the roles of Odette/Odile and the Prince, giving the audience an absolutely unique opportunity to enjoy the performances of the international guests as well as Joburg Ballet’s own principal dancers in sequence in one night. While this might mess with classical purists’ sense of calm and continuity, the exposure to more dancers with their individual interpretations and style is bound to be an interesting take on a Swan Lake opening night. So who are these leading dancers sharing the stage? From Cuba, you’ll see prima ballerina Viengsay Valdés from the National Ballet of Cuba partnering with US ballet star Brooklyn Mack from The Washington Ballet, who is always a popular crowd-raising guest on the South African stage. Miss Valdés is also a returning visitor to South Africa and gave an electric performance of the black swan during the International Ballet Gala of 2013. She’s known for her remarkable sense of balance and performed six pirouette turns leading into fouettes! See for yourself in the video below. From China, the Liaoning Ballet’s prima ballerina, Yu Chuanya, will perform with her partner Ma Ming. And South Africa’s own prima ballerina, Joburg Ballet’s beautiful Burnise Silvius dances with the dapper Brazilian Jonathan Rodrigues. It’s the United Nations on one stage in one night. Missed opening night? Here’s the casting for the rest of the production for you to take your pick (casting subject to change). Dates: Friday 17 April – Sunday 3 May 2015.